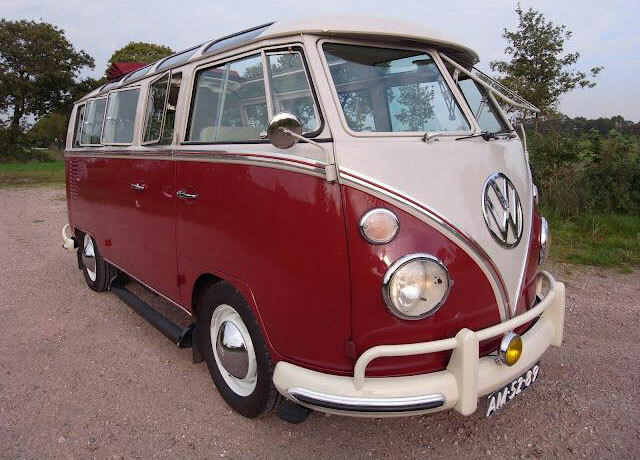 This is 1967 VW bus 21 window the One of the great samba on the market right now. Clear and clean, new rubbers and Full leather interior, fully restored Color original body Beige Grey and Titian Red, sandblasted etc. Optical all stock, but underneath is hidden some real HP. 140 HP type 1 engine great and so powerful, special made gearbox, disc-brakes all around, IRS-ed, CE steering rack, programmable gasheater and and and. Expensive, but we guaranty is worth every euro! No rust, no signs of welding, just an excellent example of a real survivor! Price includes 19% salestax, outside Europe buyers and companies can deduct this.